Don’t buy hearing aids until you read this article. There are three things you absolutely must know about hearing aids before you see the audiologist. Forget everything you have heard about hearing aids making your ears feel plugged or your voice sound funny. Today’s hearing aid styles go far beyond what you may have seen in the past. Feedback cancellation technology means the only reason you should ever have feedback is because your hearing aid isn’t inserted properly. 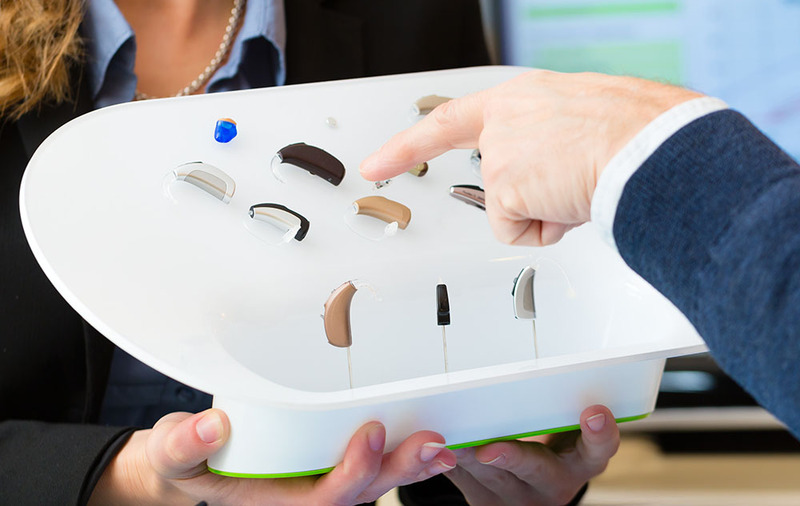 Open fittings and voice management technology allow the audiologist to fit you with a hearing aid that won’t make your own voice sound like it’s in a tunnel. Directional microphones allow your hearing aids to automatically tone down background noise and make voices more amplified and clearer. Some new hearing aids are so small they fit completely in the canal. Others hide behind the ear. New digital hearing aids can last anywhere from five to seven years with proper care. In separate studies, researchers from Columbia University and John Hopkins found that wearing hearing aids has a positive impact on your brain. Columbia University performed tests on seniors that wore hearing aids and seniors that had hearing loss and did not wear hearing aids. The results were remarkable. On tests of cognitive function, seniors with hearing aids consistently outperformed the seniors without hearing aids. John Hopkins researchers found a link between hearing loss and dementia. They speculate that the stress and strain of trying to hear over the wears overwhelms the brains and leaves these people more vulnerable to dementia. Also, they noted that hearing loss leaves people more isolated, and isolation is a factor in the onset of dementia. They suggest something as simple as wearing hearing aids keeps seniors engaged, listening and may prevent dementia. You expect hearing aids to help you hear better. That’s their job. But hearing aids do more than just improve hearing. They improve the quality of life. Work performance improves because you hear better. You don’t stress over understanding a client or customer that speaks softly or mumbles. You won’t avoid lunch meetings because you will be able to hear in restaurants. Seminars, meetings and conference calls are less stressful and more productive because you can hear. Relationships improve because you communicate better. Nothing kills a relationship of any kind like the inability to communicate. Instead of leaning on verbal clues, you’ll know exactly what a family member is saying to you. You’ll hear better on the phone, allowing you to keep in touch with loved ones that don’t live close-by. High pitched sounds are often the first sounds we lose the ability to hear. Unfortunately, many women and children have high pitched voices. Hearing aids will allow you to communicate better with the young and female members of the family. These are just a few of the ways hearing aids can improve your life. In addition, you will find yourself more active, less isolated and more engaged. All hallmarks of a more meaningful life.